Stop living for the fairy tale and learn to be happy in the now. This amazing event can be transformative and life changing! Join our latest webinar on May 7th, 2018. Register for the event online today by clicking here! If would like to participate further in our May 7th, 2018 “Happily Ever Now” webinar, then this 6 hour follow up course is for you. 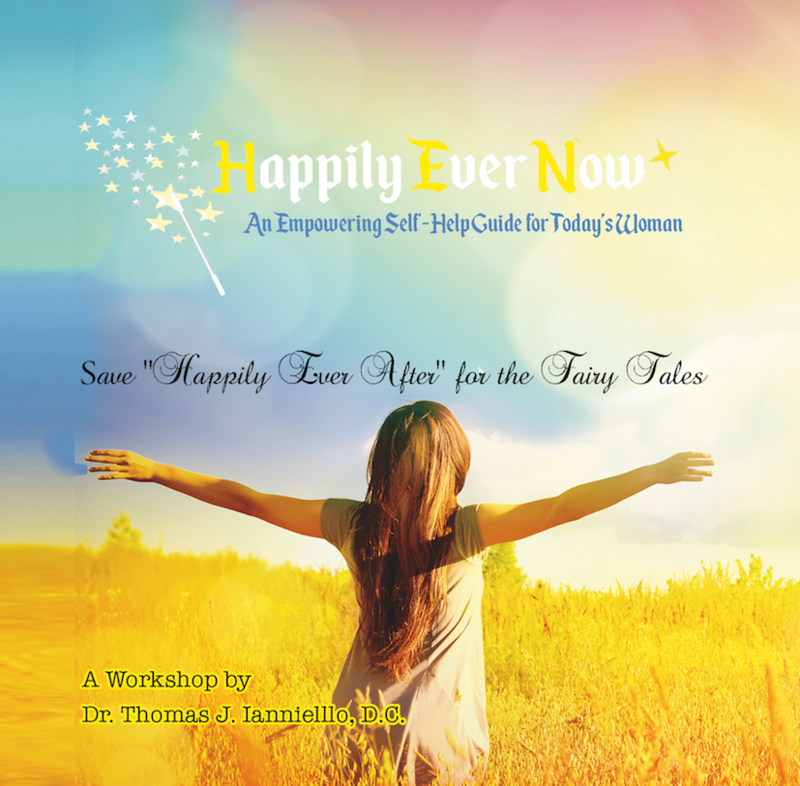 Work through Happily Ever Now with Dr. Ianniello, and rewrite the blueprint of your life. This is a 2 part event. Part 1 covers the first two divisions of the book. Part 2 covers the third and fourth divisions of the book. The cost of this workshop is $249 if you book online today. Any future webinars conducted virtually will be at a cost of $499 for the 6-hour course. We will be in touch on available dates when you sign up. This series is brought to you by Dr. Leonard Coldwell’s good friend and protege Dr. Thomas Ianniello. Dr. Thomas J. Ianniello, D.C. has been in private practice in his Miller Place, NY healing center, North Isle Wellness Center, for over 25 years treating over 80,000 patients. He is a master clinician in the art of Nutrition Response Testing, a level reached by only 600 doctors globally. He has been personally trained by Dr. Leonard Coldwell, a leading alternative Cancer cure expert for 40 years. Dr. Ianniello is the author of Happily Ever Now, a self-empowering guide for today’s over-stressed women. Dr. Leonard Coldwell Radio Playback The Only Cancer Patient Cure author.